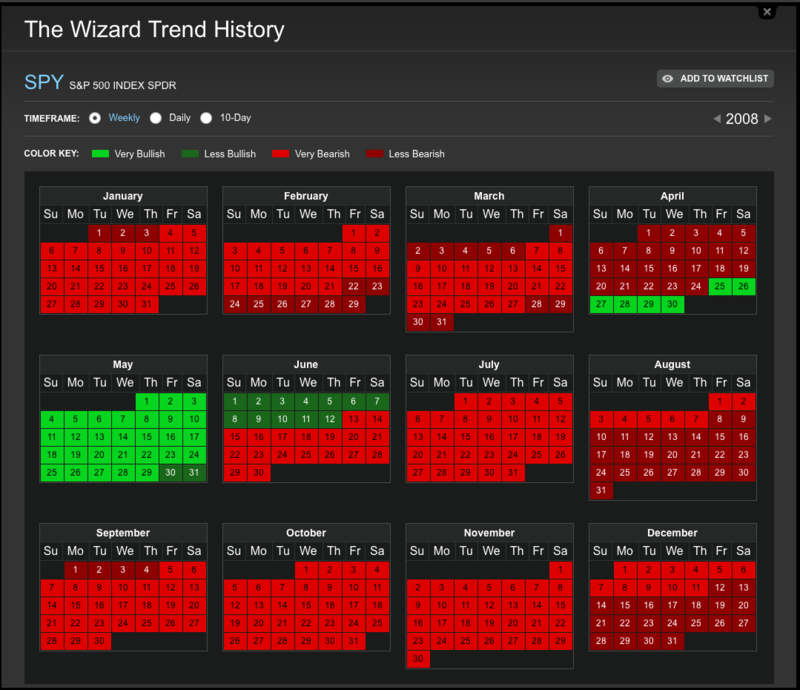 The Wizard calls the trend of the market really well. The following images will show you how The Wizard knew when to get out of the markets in 2008, and how we knew when to get back in for the enormous run in 2009. 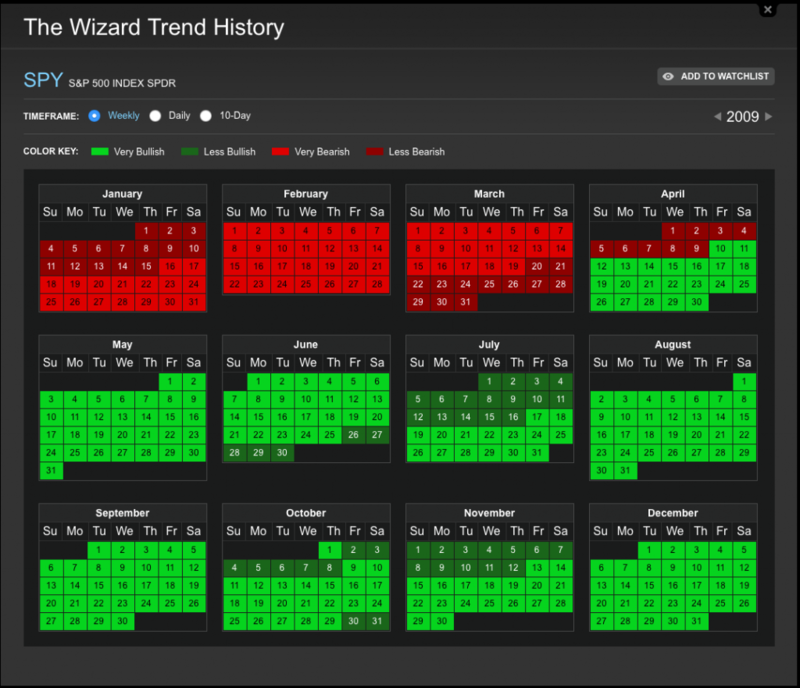 The 2016 calendar confirms, we are still in a buy mode. But the trend will change and we will have a correction that could be rather severe. Many pundits are suggesting that it will be worse than the correction in 2008. If you are a subscriber you can monitor the indexes, sectors, industries, stocks, efts, futures and forex pairs by the direction of the trend. We show it with the same format displayed, on the calendars. Whether you manage a Hedge Fund, trade for yourself, work at a brokerage or manage money as a Registered Investment Advisor, this is information that is essential for you to have. It is reliable and has never missed a major trend change in the last 20 years. To find out when the market changes; try a 14 day trial for $7.00 click on the green button to the right.